Delaware Riverkeeper Lobbies for Critical Infrastructure Vandalism? The Delaware Riverkeeper, which says it does no grass-roots lobbying, is engaged in exactly that, opposing making critical infrastructure vandalism a crime. The Delaware Povertykeeper a/k/a Riverkeeper, the last time it filed a 990 return, told the IRS it does zero grass roots lobbying, not one whit of it. 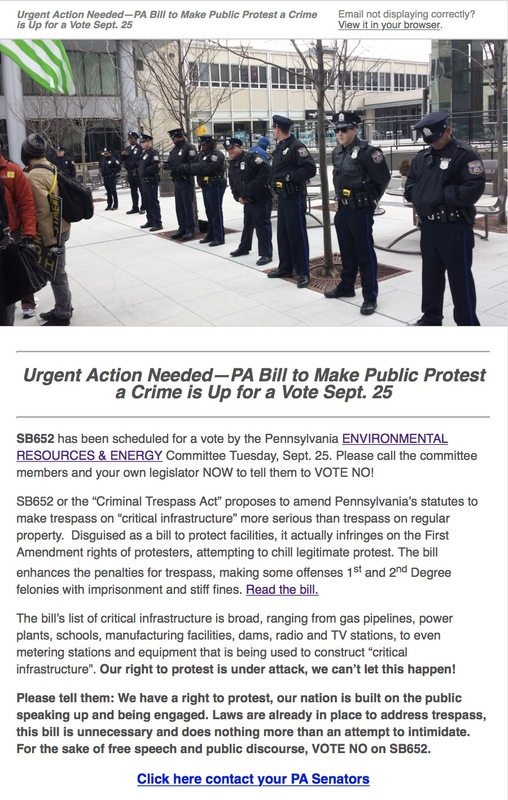 Earlier this week, though, they engaged in precisely what the IRS defines as grass roots lobbying, broadcasting an appeal to their supporters to oppose a bill in the Pennsylvania legislature that would define and penalize critical infrastructure vandalism. I’d say that means the Povertykeeper is not only potentially violating tax-exemption rules by doing grass-roots lobbying it swears it doesn’t do, but is also, by default, lobbying for the unrestricted right of her band of fractivists to engage in critical infrastructure vandalism. That’s only my personal opinion, of course, but you be the judge of the facts. Grass roots lobbying refers to attempts to influence legislation by attempting to affect the opinion of the public with respect to the legislation and encouraging the audience to take action with respect to the legislation. There can, from the “urgent action” messaging to the instructions what to do, be no doubt whatsoever this is grass roots lobbying. The Povertykeeper, of course, has the right to do a certain limited amount of such activity, but it last reported to the IRS that it does absolutely none of it, which is an indication of just how much respect the organization has for the rule of law. Zero. None whatsoever. A person commits an offense if the person…enters or attempts to enter property containing a critical infrastructure facility, knowing that the person is not licensed or does not have the permission of the owner or lawful occupant of the property to do so [or] enters property containing a critical infrastructure facility with the intent to willfully damage, destroy, vandalize, deface, tamper with equipment or impede or inhibit operations of the facility. (1) A petroleum or alumina refinery. (2) An electrical power generating facility, substation, switching station, electrical control center or electrical power lines and associated equipment infrastructure. (3) A chemical, polymer or rubber manufacturing facility. (4) A water intake structure, water treatment and distribution infrastructure or wastewater treatment and collection infrastructure. (5) A natural gas pipeline compressor station or a liquids pipeline pumping station. (6) A liquid natural gas terminal or storage facility. (7) A telecommunication central switching office, remote terminal or any other equipment in a secure enclosure used to provide telecommunications services. (8) Wireless and wireline telecommunications infrastructure, including cell towers, small wireless facilities, microwave, poles and lines, including copper and fiber optic lines and underground conduit for telecommunications services. (9) A port, railroad switching yard, railroad tracks or trucking terminal. (10) A gas processing plant, including a plant used in the processing, treatment or fractionation of natural gas or natural gas liquids. (11) A transmission facility used by a federally licensed radio or television station. (12) A steelmaking facility that uses an electric arc furnace to make steel. (13) A facility identified and regulated by the Department of Homeland Security Chemical Facility Anti-Terrorism Standards (CFATS) program. (14) A dam that is regulated by the Federal or State government. (15) A natural gas transmission or distribution utility facility, including, but not limited to, pipeline interconnection, a city gate or town border station, metering station, aboveground piping, a regulator station and a natural gas storage facility. (16) A crude oil or refined products storage and distribution facility, including, but not limited to, a valve site, pipeline interconnection, pump station, metering station, belowground or aboveground pipeline or piping and truck loading or offloading facility. 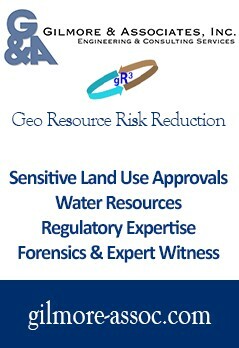 (17) A natural gas, oil, gas, hazardous liquid or chemical pipeline, tank or railroad facility or other related storage facility. (18) Oil and gas production facilities, including, but not limited to, well sites, separation and dehydration facilities, produced storage and meter stations. (19) Pipelines used to transport natural gas, oil or refined products, whether buried or above ground. (20) Equipment and machinery, regardless of location, to the extent that it is used to construct, maintain or operate a critical infrastructure facility. (21) An energy facility as defined in 18 U.S.C. §1366(c) (relating to the construction of an energy facility). The Povertykeeper opposes this legislation because it says it “infringes on the First Amendment rights of protesters, attempting to chill legitimate protest.” Are we to conclude from this that a person who “intentionally or recklessly damages, destroys, vandalizes, defaces or tampers with equipment” connected with a pipeline is somehow engaging in legitimate protest? That seems to be what the Povertykeeper would have us believe, because that’s what this legislation will penalize if finally enacted. It doesn’t restrict the right to protest at all, in fact. It simply says protesters can’t vandalize and call it protest. This is the upside down world of fractivism, where those attempting to intimidate by damaging, destroying or vandalizing the property of others label legitimate attempts to restrain this lawless activity as intimidation, where the legitimate is called the illegitimate. The Povertykeeper, like ally Bill McKibben, loves a little violence on the side. That’s what this is all about. The rule of law and a line of police officers protecting property are the enemy as far as they’re concerned. follow the money and who is lobbying for this bill and you will find the oil and gas industry…. being “vandalized” and changed in the negative. any trespass on their sacred property would be a felony. yes, they like to keep us away so we don’t see their dirty deeds and reveal them to the world. I don’t care who funded this bill. You’ve already been found guilty of trespassing and someone could get seriously injured because of your actions. There is a video of you on YouTube showing you trespassing on a water impoundment construction site and when you were told to get off the property you stood on the side of the road and continued to harass the man. As you stood there big trucks were coming down the road and not only almost hit you but crossed over to other side of the road to avoid you. This could’ve caused a head on collision, that could’ve caused serious injury or death, to someone coming the other way including a school bus full of children. Keep videoing yourself when you trespass. It’s the best evidence against you that can be used against you. Vera better pay attention to this as it will make trespassing on natural gas well sites and infrastructure a felony instead of a misdemeanor. That could mean prison time and big fines. I think it’s about time they do this. Most likely nothing will happen if someone does file a formal complaint with the IRS, but absolutely nothing will happen if you don’t. I disagree with the need to create a special class of property and penalties. Is this some perverse form of “Animal Farm”; we are equal, but some are more equal than others? Assume I have a machine shop or coffee shop across the street from a critical facility. Protestors are unsuccessful at trying to damage the critical facility but destroy my place. All of a sudden a lesser set of penalties apply to my losses due to trespass, destruction, assault, etc. ; I hope not! It is their intent, methods and damage done that should affect their sentences. Adjust the penalties of existing laws and enforce them, rather than create new ones. Setting up a tent in the middle of a STOLEN ROW with permission from the ACTUAL owner of the property as I have, does not constitute trespassing. How do you expect the gas from your well to get to market if you oppose the pipeline that gets it there ?? Mr. Roessler is jealous of the nice fat delay rental that I successfully demanded from SWN. Plus, I have it straightened out very good with them about where MY pipeline may go. I imagine that must have something to do with the fact that SWN never even thought about using your beloved jack-booted government thugs (known in politically-correct circles as “eminent domain”) on me like your buddy the oddly-named “Constitution” Pipeline did in a different part of my county. Tom your senseless babble didn’t answer my question. I won the thread. Get over it.